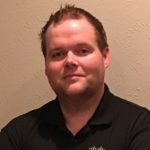 Those part of the Wireless LAN Professionals community may know Chris as one of our WLPC bootcamp instructors and presenters. As an instructor, Chris has some perspective on why it’s important all Wi-Fi engineers invest in themselves through training, experience, and labs. Thanks to Chris for being a part of the community and for sharing your insights with us. So let me say the obvious for those of you that don’t know. Cisco (Cisco Systems) is a world leading manufacture of networking equipment, offers one of the most comprehensive IT certification programs available. They offer an extremely beneficial entry-level networking course called CCENT. CCENT stands for Cisco Certified Entry Network Technician. I am sure many of you are thinking: I am not a technician, or I don’t work with Cisco, so why do I need to be a Cisco Certified Entry Network Technician? To that I say don’t worry about the Cisco Certified part for now, let’s just focus on the substance of the course. Even though your primary role may not be technical services or support, understanding network fundamentals is extremely important for anyone that works in the IT vertical. It’s simple: if you’re working in the IT industry and you wish to succeed, you need to understand IT. When talking with colleagues, have you ever felt like terminology is going over your head? Wouldn’t technical support work more smoothly and efficiently if you could accurately describe your problems to your technical staff? The CCENT covers fundamentals, clearly defining terms like “LAN,” “WAN,” “switch,” and “router,” among others. Building upon that foundation, it teaches you how things connect for small networks and provides an understanding of TCP/IP, which is how the world connects to each other and the INTERNET. I don’t want to downplay the extent of valuable knowledge covered in the CCENT. No matter their background, the overwhelming majority of my students (even students with many other certifications and years of experience) still say they learn quite a few new concepts from the CCENT. It’s the type of course that combines foundational knowledge with technical detail. Because the course offers students the tools to build an understanding of the basic mechanics of networking, I know that it is invaluable for anyone working in the field. WiFi Training offers several options for this course, including an accelerated three day course, for those who have experience with networking, and a 5 day course, for those who are new to networking. Out of all the training you go through, always start with ones that will empower you to succeed in your field. Knowing your industry, and knowing the mechanics of your industry are essentials to success that will set you apart and make your life just a little easier in the process! Do yourself a favor: the CCENT will provide you with a wealth of knowledge that will help you thrive in your career and our now very connected day-to-day lives.